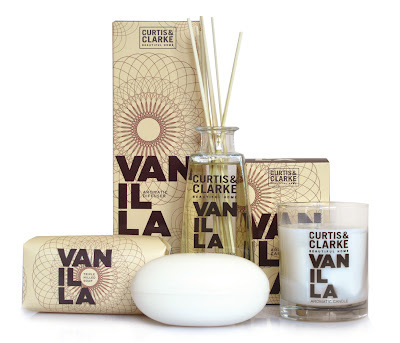 I’m a total sucker for a sweet smelling home, and the latest highly fragrant releases from Curtis & Clarke are based on the scents of home baking - it doesn’t get much cosier as we go into winter than that! Their two new releases - which will be added to the Sugar & Spice range - are based on the sweet scent of Vanilla and spicy aromatic Gingerbread. The range already includes Pomander, which is a riot of fragrance that includes notes of sweet orange blended with warming cloves and cinnamon. The new Gingerbread fragrance is scented with warm, exotic ginger mixed with notes of cinnamon and spice, whilst rich and heady Vanilla option is overlaid with notes of maple and butterscotch. And yes, both smell good enough to eat! 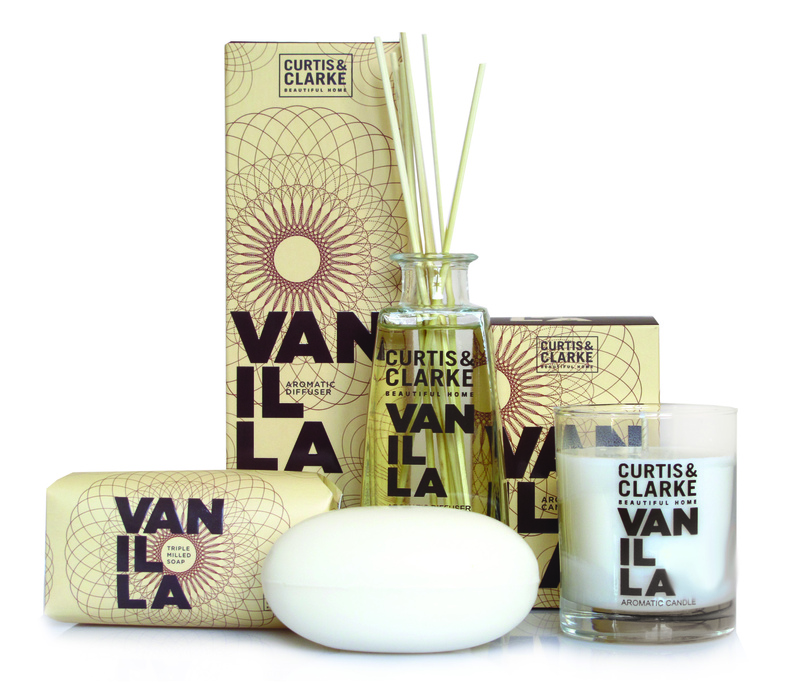 Each of the scents feature in three key products: triple-milled soap, an aromatic candle and an aromatic diffuser. Gorgeous, warm and heady, these will be the perfect choice to waft around once the temperature starts to drop. When I went to get a ‘routine’ mammogram last year I found out that I had early stage breast cancer and was successfully operated on and treated, so I’m all about regular check ups that really can save lives. Living in the Southern Hemisphere skin cancer is another big killer of young women, so I jumped at the chance to have a MoleMap recently and see where my own skin stood in the spectrum of risk of this so easily treatable but occasionally fatal disease. For those of you that haven’t heard of it MoleMap is a melanoma detection programme that was designed to help identify melanoma skin cancer at an early stage. It uses a combination of technology and the skills of expert dermatologists to provide a thorough and accurate procedure, and is far less painfully than say, a mammogram or smear test, but just as effective and essential. MoleMap was formed in 1997 by a group of New Zealand dermatologists who shared a vision and passion for developing a world leading melanoma cancer and skin cancer detection programme that combined innovative imaging technology with the expertise of skin specialists. They developed the company after observing that, despite continuing educational programmes promoting sun protection, the number of deaths from melanoma each year was not decreasing and the message clearly wasn’t getting through. I still hear about women in New Zealand who lie out on sunbeds on a more than regular basis for example, and all too many who think that a burn is the easiest way to a tan. They also recognised that melanomas were not always being picked up in routine skin checks because the doctors carrying out these checks did not always have the technology or skills to recognise cancerous moles (melanomas), particularly at the early stage, and that they often didn’t keep a record of anything checked on file to revisit in subsequent years. So, MoleMap was born and you can now make an appointment to have one at locations all over New Zealand. So what does it involve? Your first to MoleMap appointment consists of a thorough one-hour consultation with a Melanographer (nurse trained in skin cancer and dermoscopic imaging). During this hour your moles are 'mapped' (hence the term 'mole map') onto your body using the latest imaging technology to create a baseline of your skin and mole locations. It involves a bit of standing around and a lot of pics snapped of individual body parts, but not once did I feel uncomfortable as my nurse, Susan was so damn thorough and informed. Utilising skin surface microscopy, each suspicious mole or lesion is then digitally imaged and any relevant data about the lesion such as an apparent change, itchiness, tenderness or general patient concern is recorded alongside each imaged lesion. All of the images and associated data are then sent via a secure network to be diagnosed by one of a panel of international specialist dermatologists. The data and images are then permanently archived on a remote central database for secure storage and access for future mole comparisons, a service that your doctor just isn’t able to offer. Within 5-10 working days you receive a report from a dermatologist, a copy of which goes to your designated doctor or specialist if you tick that box. It identifies any moles or lesions of concern and provides recommendations on the management of these. If the recommendation involves further procedures you are advised to discuss and coordinate these with your doctor or specialist. 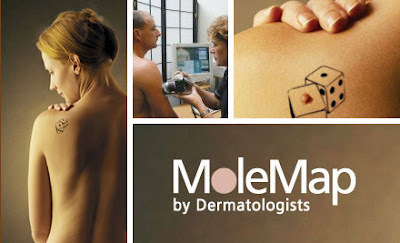 A MoleMap isn’t cheap at $300.00 for the initial one-hour appointment, but that also covers free fifteen minutes follow up dermatologist Spot Checks any time within the first year of your initial appointment. This is essential if you are still concerned about a lesion after your initial consultation, or if you notice any changes that are giving you more than a few sleepless nights. So, if you haven’t had one then I highly recommend that you do - you owe it to yourself and your loved ones. Okay, maybe let’s call it the “mind-blowing, life-changing” ghd eclipse, because for many of you out there that’s what this little marvel will be. The ghd team themselves have called it “a new styler for a new era”, and enticed me along to a presentation yesterday by saying that for the company, it is the most exciting and innovative launch since it all began. And coming from the people who reinvented the heat styling wheel as it were, that is no small call! 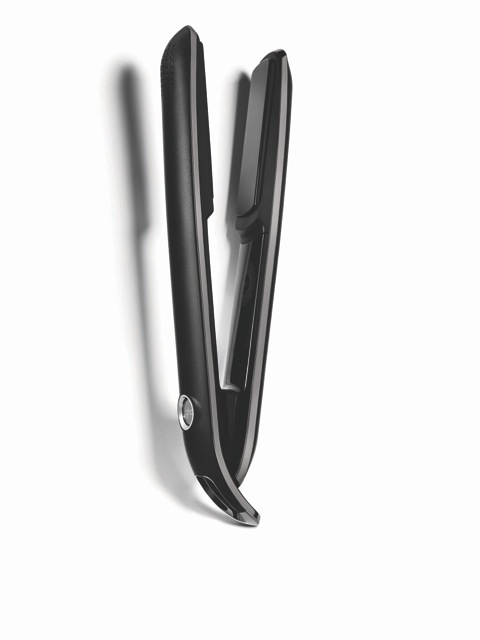 * Breakthrough, patented ‘tri-zone’ technology, which involves six quick thinking sensors spread throughout the styler that maintain a constant heat of 185ºc from root to tip, which is proven to be the optimum styling temperature for pretty much every hair type. And that’s in a single stroke - all textures will obey; from the rebellious and unruly to full-on headstrong afro hair. * Super‐fine, precision plates that ensure ultimate heat transfer, don’t snag and - most importantly - make the job of styling you hair that much quicker. ‘Hurrah for that’ say millions of time-poor women worldwide! * A cooler body thanks to aerogel insulation, an innovation that was directly influenced by the work of the likes of NASA. This means the irons have a cool-to-the-touch outer shell, even after 45 minutes of use - a huge bonus for stylists working on the salon floor and backstage at runway shows all over the world. 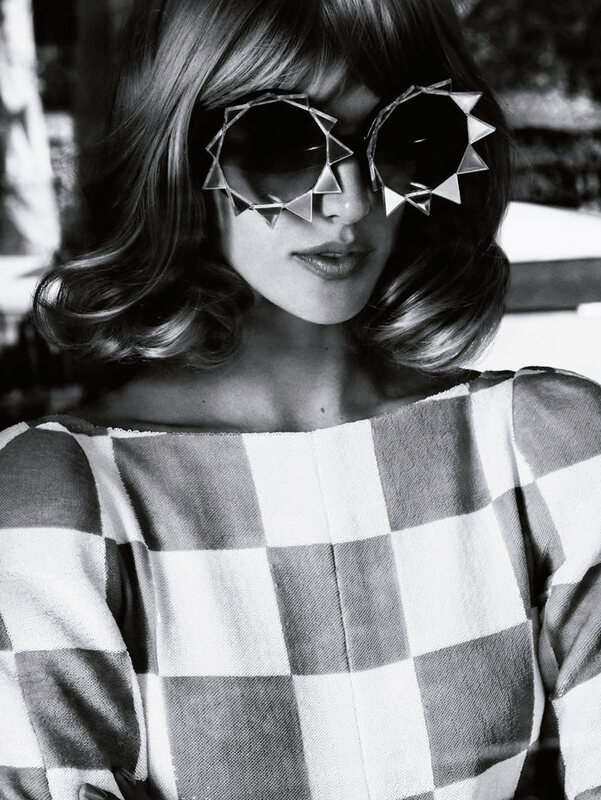 Jayne will be on of the stylists using the eclipse backstage at the upcoming MBFWA, which I am gutted I won’t be attending this year - it always ensures maximum beauty-related inspiration and 2013 looks to be no different. The ghd team will be thanking this new baby for many reasons, including the fact that they won’t have to spend precious minutes blow-drying hair backstage, whether its curly, wavy or straight. “You will see outstanding results in just one stroke with a straight, smoother, frizz‐free finish,” says Jayne, “and faster styling also means you can afford to take thicker sections of the hair.” This applies to home use as well and is a godsend for ladies with thick locks like myself. The arrival of the ghd air made my dry time that much faster and now the eclipse is set to do that for my styling time - and then some! Three years in the making and backed by some serious science, this tool is most definitely a life changer. The ghd eclipse will be available in April from ghd approved salons and www.ghdhair.com/au with an RRP of NZD$350.00. Get saving NOW. Supermodel Mossy returns with the next chapter in her collaboration with Rimmel this April by introducing a killer new lipstick collection for Autumn that is all about matte. It’s a new twist on her classic collection but one I heartily approve of, and the velvety formula is one of the best I’ve worn in a while. Called - naturally - Kate Moss Lasting Finish Matte Lipstick, it is infused with a fabulous new ingredient called Ruby Powder, which fuses maximum colour intensity with a an ultra comfortable, cushiony feel. Add to this a triple blend of lightweight emollients for a super comfortable glide and the legendary staying power of Lasting Finish, and you have one killer lippy. Miss Moss has said of her new baby; “I have always loved a beautiful matte lip but I didn’t want a colour that looked bland and felt dry on the lips. 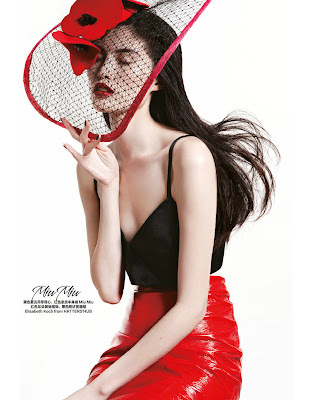 I really wanted to create a lipstick that gives you a cool matte finish but with a beautifully rich intense colour. Like my original range it had to be comfortable to wear. Comfort is key; the trick to looking great is to feel great.” I’m a huge fan of matte myself and the comfort factor is the key difference between the new crop of magic mattes and the old school, dry and cakey formulas - they look great and feel even better. Naturally, Kate has put her own inimitable touch to the packaging too – a chic reversal of the original design, with a matte red pack debossed with the Rimmel crown and autographed by Kate in glossy black with her name and signature heart. Cute! The range consists of six shades that range from the neutrals Kate wears every day through the full-on corals, pinks and fuchsias she is most often papped sporting at night. The Kate Moss for Rimmel Lasting Finish Matte Lipstick collection lands this April, and at an RRP of $14.99 I strongly suggest you get a few! I could go on for days - nay, years - about my love for multitasking type products, a passion which grew from the years when I spent a lot of time travelling the world and peaked when I became a mama and my ‘me’ time was quite literally reduced to about five minutes (if I’m lucky) before 8:00am! 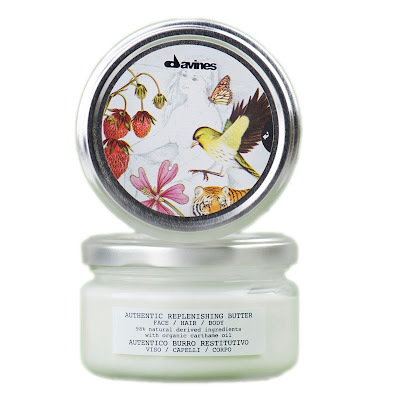 So for all of the over-worked, over-committed and just damn busy women out there I present my latest magical discovery: Davines Authentic Replenishing Butter. Definitely up there with some of the best multi-tasking beauty products I’ve tried, it is an absolute joy to use. Made with 98 per cent naturally derived ingredients, it’s essentially a luxurious, rich-without-being-greasy butter that you can use to moisturise your face, body and hair - whatever needs your love the most. Created by the always-outstanding Italian haircare house of Davines, it is packed full of carthame oil (more commonly known as Safflower Oil), jojoba oil, sesame oil and shea butter, all of which have high elasticizing and regenerative power. It spreads easily and has the most delicate fragrance, so it won't compete with your perfume if you're on your way out. Apply it over your body when your skin is still wet from the shower, and then use the excess to run it over your locks - you won't believe how soft it will make them feel. Seriously! Oh and last but not least, check out the pack shot above. Far too pretty to hide away in a bathroom cabinet! 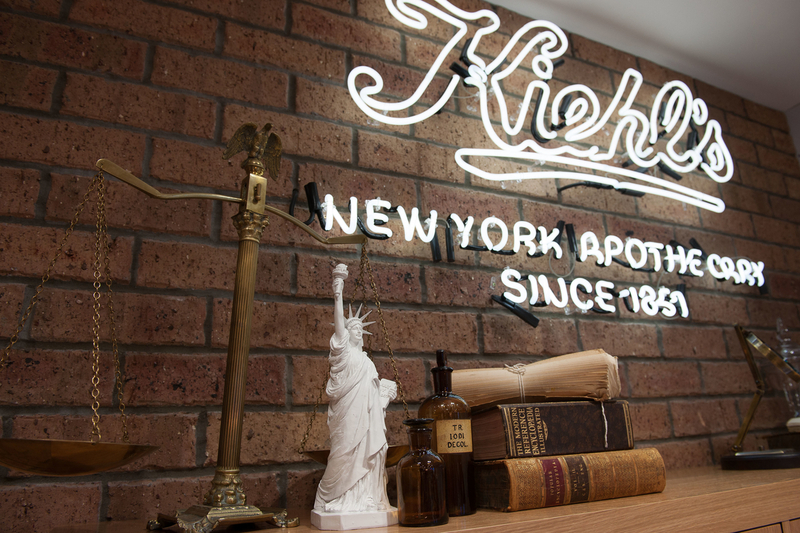 Beauty news: Kiehl’s flagship boutique in Britomart is officially open! A few days ago I blogged about the opening of New York skincare brand Kiehl’s very own dedicated New Zealand flagship boutique - nestled in Auckland’s gorgeous (and dangerous on the credit card) Britomart precinct. 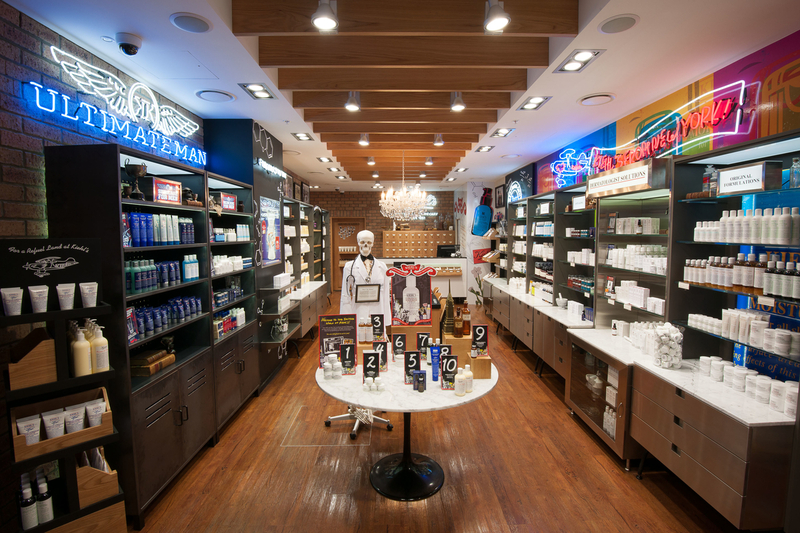 The Kiehl’s flagship boutique is located in Britomart’s Atrium on Takutai shopping gallery, a light, airy corridor that features spectacular green ‘live’ walls and is lined with the likes of Jo Malone, M.A.C, Kikki K. and Nike concept stores. It’s a great place to while away an afternoon, and Kiehl’s fits right in. Last night saw a host of us (that’s me above, in green Penny Sage) celebrating the official opening and snacking on more than a few of stellar chef Nick Honeyman’s incredible canapes. I can’t wait to come back and have a peek at the store when it’s not full of well-wishers - the opening party was a total hit! 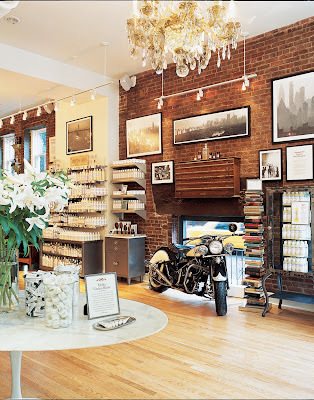 - as it is fit to burst with all of my Kiehl’s faves and more, and definitely a spot to drop by and indulge yourself. If you want to join in the celebrations, the brand is doing an absolutely fantastic, massive giveaway to celebrate the launch of the Kiehl’s NZ Facebook page and the opening of the store. To enter visit http://on.fb.me/Yuvxab - it’s that easy! As I’ve said many a time on this blog - and in real life - I’m incredibly low maintenance when it comes to my daytime beauty routine, which usually involves a BB cream or tinted moisturiser, a little NARS Laguna and mascara. If I have a meeting to go to I will go as far as maybe a dusting of pressed mineral foundation, or other foundation formulas I can pack up and take with me if I need and are super quick to apply. One of my newest foundation faves is actually a cream formula as opposed to powder, and is the new and improved version of Elizabeth Arden’s oft obsessed about Flawless Finish Sponge-On Cream Makeup. The original was a big hit worldwide almost from the minute it hit the counters, but this version takes something great and makes it that much better - and adds updated packaging to boot. The reformulated Flawless Finish Sponge-On Cream Makeup has an incredible creamy texture that glides on so easily you can barely feel that its there, but makes a major difference with just a few swipes of the sponge. Infused with micronised diamond powder, it’s now a true light-reflecting foundation, manipulating and scattering light to diffuse the look of any imperfections that may be lurking. Your skin looks much more even in tone with the lightest of applications, and the likes of fine lines, pores, blemishes, scars and dark spots are softened and smoothed out like you wouldn’t believe. It is also pretty long wearing, which gets the big thumbs up from low maintenance me. 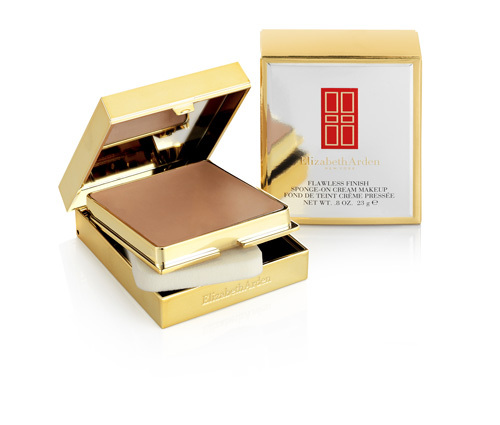 The foundation comes in a double-deck compact that is great for travel and handbag friendly, just pop open the top cover to reveal the cream foundation and a mirror, and flip up the bottom level for a contoured application sponge. Love that! For a more opaque look apply it with a dry sponge, or for a slightly sheerer finish wet the sponge to thin out the texture and build wear you need it. It is on counter right now in eight shades - including three new ones - with an RRP of NZD $69.00. I’m one of those people who has pretty damn prominent dark undereye circles even when I’ve had a solid nine hours, so hearing about Clinique’s Even Better Eyes was music to my ears. 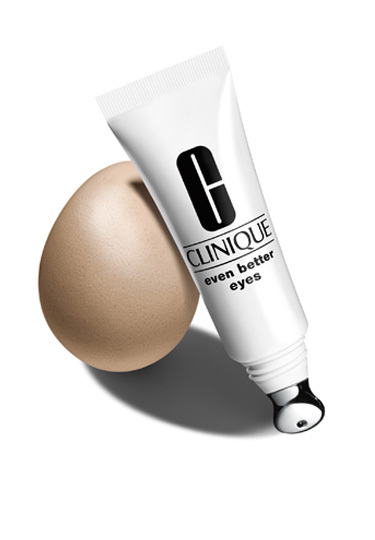 An oil-free undereye cream that reduces dark circles and brightens the eye area, it does more than just alleviate the appearance of darkness below the eyes but also comes with an added anti-ageing ingredient punch. It’s a delicately tinted cream that gives an instant brightening effect, while anti-aging ingredients like Vitamin C work to eliminate dark circles over time. The skin-strengthening ingredients like linoleic acid and cholesterol then work to make skin less transparent, while the built in cooling massage tip breaks up puffiness. The sheer optics in the formula create an instantly brighter look for all skintones from fair to deep too, while the clever little tube of goodness has been clinically proven to visibly lighten dark circles by 30 per cent in 12 weeks and is ophthalmologist tested. An Allure Best of Beauty winner, it’s also a joy to use as the formula is hydrating (not greasy) and cooling, and absorbs completely into skin after just a few seconds. Magic! 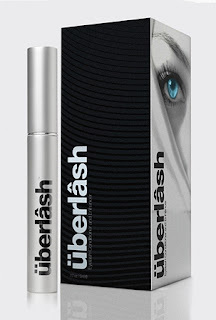 Already a huge hit internationally, Uberlash arrived in New Zealand recently and has already been kicking up the kind of buzz only reserved for beauty products of the life-changing kind. An eyelash growth serum, it has entered a pretty crazy market for all things eye and lash-related, but definitely sits in the camp of those - like Latisse - that live up to the hype. I’ve been using Latisse for about four months so passed my Uberlash sample on to a friend to try, and at the eight-week mark she is pretty damn pleased with the result with good reason. An early study reported that 72 per cent of total evaluated subjects using Uberlash “exhibited an enhanced appearance at a median timeframe of 4 weeks with the average person having a 65 per cent increase in lash length”, which is no mean feat. And no matter how brittle, short, fragile, thin, or sparse your lashes are, the clever formula will not only lengthen your lashes but strengthen them as well. It thickens your actual lash diameter along with boosting volume and length, all the while moisturising and conditioning to prevent breakage and thinning. It also helps stimulate follicle cells to promote new hair growth, so is great for older women whose lashes are starting to grow noticeably sparse or even, for use on brows. Testimonials on the website claim that difference in your lashes can be glimpsed at around the two week mark, but my friend says that hers didn’t start to really do their stuff until around four weeks, and are now looking damn impressive. You apply the formula once per day in the evening to upper lash line, and as per Latisse and other quality lash enhancers, you need only a small amount of product each application, so use sparingly. You apply it with the supplied applicator brush in a thin line along upper lash line only at the root area (as though you are applying liquid eyeliner), and if you use eye makeup remover prior to application, rinse the eye area with warm water to neutralise and wait until eyelashes are fully dry before applying product. For brow application just swipe serum evenly across each brow, and always allow the product dry for several minutes. 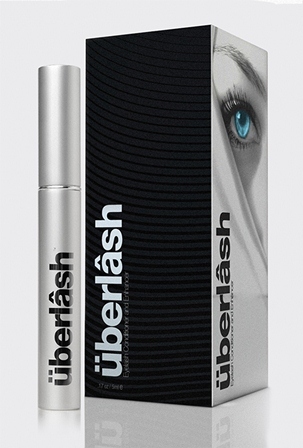 The fact that Uberlash is paraben-free and does not contain prostaglandins (an ingredient in some eyelash serums that may cause side effects) gets a big tick from me, and you can pick up a bottle for RRP NZD$189.00 from a stockist near you. It doesn’t take much for me to have a rave about the Pureology haircare - and of late, styling - range, mainly because it’s so damn good as well as being good for you and the planet. But wait - there’s more! 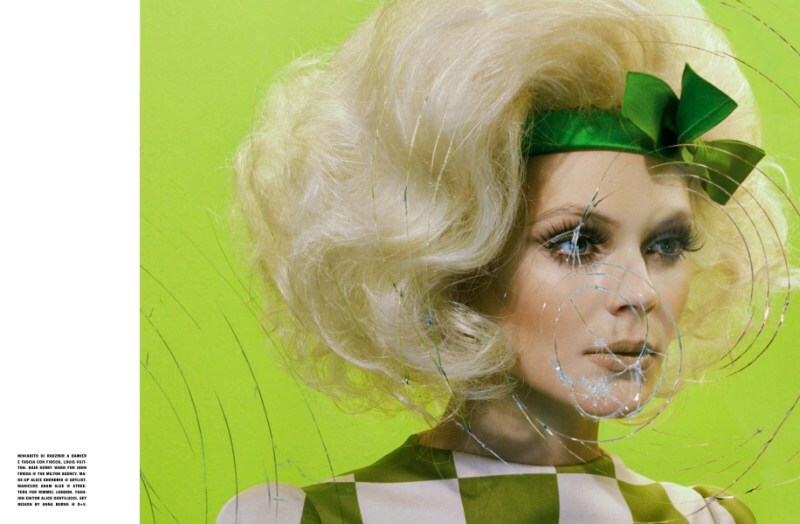 In September 2009, the beautiful brand formed an exclusive global partnership with Green Cross International to help raise sustainability awareness starting with the salon professional community. Now, as part of a world-wide fundraising goal, Pureology is introducing limited edition packaging for its top selling Hydrate shampoo and conditioner to benefit Green Cross International. From every bottle purchased, the sustainable brand is donating $2.00 to the charity’s Smart Water for Green Schools Program. The project equips schools in Ghana with rainwater harvesting systems, ecological sanitation facilities and additional water systems for the extended community and hygiene education programmes. In Ghana, only 14 per cent of the urban and eight per cent of the rural populations have access to improved sanitation, so despite recent progress in rural regions, one in every five people still has no access to safe drinking water. As a result, 80 per cent of all disease in Ghana is caused by dirty water and poor sanitation - a problem that we can actively change. Green Cross International is working to rectify the appalling situation – and Pureology will continue supporting the cause. The cute as a button illustrations featured on Pureology’s limited edition packaging have been hand drawn by the children at the Makango School in Northern Ghana and carry a message. They illustrate the children’s perception of the relationship between life and clean water before and after completion of their water access project in rural Makango, and are a reminder of the huge impact change in this area will have on these kids. The Limited Edition Hydrate Shampoo (RRP36.00), and Conditioner (RRP$42.00), are both available from all leading Pureology salons from March 2013 and while stocks last, so get into your nearest and buy up large now. One of the highlghts of my last trip to New York was a visit to the beautiful Kiehl’s flagship store at 109 Third Avenue (pictured above), so I was pretty excited when I heard that the New York skincare brand now has its own dedicated New Zealand flagship boutique - nestled in Auckland’s ever-expanding (and very cool) Britomart precinct. Kiehl’s launched in New Zealand in 2010 at Smith & Caughey’s Queen Street and since then the brand has grown with the opening of counters in Smith & Caughey’s Newmarket, Ballantynes in Christchurch and Kirkcaldie & Stains in Wellington. It’s such an iconic brand that it has been crying out for a place to spread its wings and celebrate its New York origins, so this new spot in Britomart’s Atrium on Takutai shopping gallery is a true feast for the sense. The boutique’s authentic brick wall, vibrant gallery of historic images and neon artwork all pay homage to Kiehl’s rich history, and Kiehl’s resident “Mr. Bones” is also there as a nod to the brand’s pharmaceutical heritage. Unique to the Britomart boutique is an inviting consultation space where store patrons can unwind and discuss their skincare needs. I’m off to the official opening this Thursday and can’t wait - great brand, great space, good times! 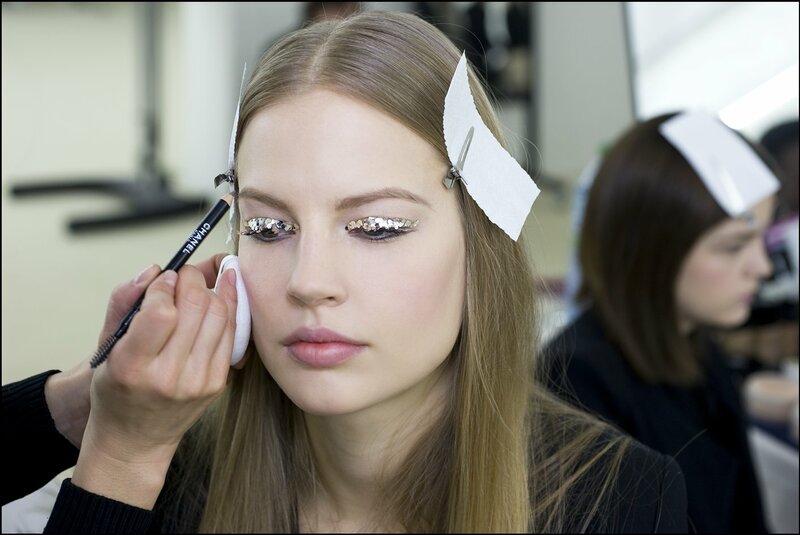 One of my favourite makeup looks from Paris Fashion Week was naturally the one created for the Chanel 2013-14 Fall-Winter Ready-to-Wear Show by the incredibly talented Peter Philips. The man never disappoints! 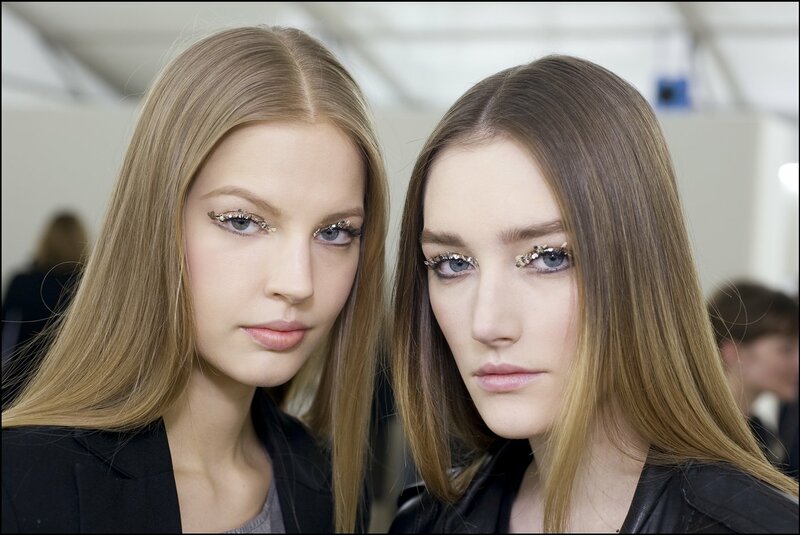 “For this show, we wanted to create a beautiful natural look that focused on just one element of make-up so as to really make it stand out,” he said post-show, “so it’s all about the eyes.” He opted to go for a lovely natural semi matte skin, using Vitalumiere Aqua and Poudre Universelle Libre after prepping the skin well with Chanel’s amazing Hydra Beauty Serum. Last touch was Le Blush Crème de Chanel in Inspiration N°64 and Roige Coco Shine in Instinct N°86 on the lips, before he started on the eyes proper. “On the eyelids I used Les 4 Ombres Prélude N°33, and added a sweeping line along the lower lid with Le Crayon Yeux Noir Black and Le Crayon Kohl in Clair N°69 ”, he explained. Then he applied Le Volume de Chanel Black N°01 mascara onto just the upper lashes. It was definitely the kind of star turn he is so famous for, and the beauty media lapped it up, along with the essential nail colour for the season - Le Vernis in Elixir N°589. Bring it on! Trilogy have really stepped up to the beauty plate over the last year when it comes to killer product releases, the latest of which is an addition to the all natural New Zealand brand’s high performance body care range, Firming Body Lotion. At first go it’s an absolute joy to use, and along with being a lovely everyday body moisturiser it is also apparently designed to help firm and smooth skin, especially those troublesome spots that the gym just doesn’t improve - no matter how many hours you spend there! It’s also perfect for using post-gym shower too, as it is both non-greasy and quickly absorbed, and its heady mix includes potent natural actives; caffeine from green coffee and plant-derived hyaluronic acid, known as ‘nature’s moisture magnet’, to help improve elasticity and smooth skin texture. Add to that vitamin-packed avocado, omega-rich evening primrose and certified organic rosehip oils nourish and replenish, while the added hydrating benefits of jojoba and almond oils condition – leaving you with beautifully hydrated skin. Last but by no means least, it’s certified natural under the internationally recognised NATRUE standard, and is delicately scented with Trilogy’s signature fragrance of lavender, frankincense and rose geranium. All good all round, really! It seems like its BB cream madness right now. Pretty much every brand has (or soon will) released a BB Cream, and as a beauty writer who often shuns foundation by day I feel the need to try them all! My key finding is that they most definitely are not created equal, with many thick and goopy in consistency whilst others feel like seriously watered down foundation. 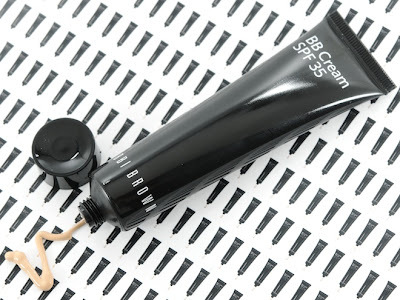 But leave it up to Bobbi Brown to make a complexion-perfecting product…well… perfect, in the form of her Bobbi Brown BB Cream SPF 35. It takes a lot to impress me but I’m absolutely in love with this formula. I’ve been wearing it everyday since I got it, and it looks damn fine all on its own, or topped off with a bit of mineral foundation and a dab of concealer for a completely flawless finish. It is essentially a skincare/makeup hybrid that combines moisturizer, treatment, SPF and foundation in one, and the unique skin tone correct formula leaves skin looking flawless and perfectly natural. Consider it your skin’s new best friend! When used over time, it reportedly provides long-term benefits too– brighter, more even skin tone; diminished appearance of fine lines; reduced redness and minimized pores. SPF 35 boosts the formula with daily protection against harmful UVA/UVB rays and environmental hazards too, which gets a major tick from me. The first time I used it I think I may have used a little too much product - probably due to the fact that many of the BBs I have tried have been of the aforementioned watery consistency. You really only need a tiny amount - think a pea-sized dollop - to cover your whole face, and I use my fingers to apply and blend because I’m usually in a mad rush. It feels comfortable and wears well throughout the day, and although it costs a little more than some of the big brand BB creams out there at NZD $75.00 I say go for it if you can spare the cash as it really is amongst the best. Oh and it comes in five shades, which is a lot more than most. Reportedly the key to Heidi Klum’s bouncy, luscious locks and definitely qualified for the title of ‘steal’ thanks to its RRP of NZD$7.29, Schwarzkopf Extra Care Instant Volume Powder is definitely a product that gives big results at a teeny tiny price. Like the other products on the market with a larger price tag that aim to do the same task, this little bottle of goodness is incredibly easy to use. Simply shake out the Volume Powder, run through your roots, massage it in and watch it do its stuff… and this one is guaranteed to hold in any situation for up to 24 hours. Extra Care Instant Volume Powder is the latest addition to the Schwarzkopf Extra Care Push-Up Volume & Styling range, which was launched in response to the growing consumer obsession with voluminous hair products and consists of a shampoo, conditioner, express mousse treatment, hairspray and mousse - all retailing at under $7.50. Wowzer! I’ve been using more and more of these type of products since giving up on many of my dry shampoos when I went back to brunette, and have to say that this stands up to many of the pricier options. If you haven’t tried a voumising powder yet then I urge you to do so ASAP, and in this case, price is no excuse! My four year old son is pretty much one of a kind, but very much like other kids when it comes to washing his hair. He hates it with a passion to rival Antony and Cleopatra’s - to put it mildly! Anything I can do to remedy that situation I will in a heartbeat, and my latest kids’ haircare discovery is making a big difference - one shower at a time! That discovery is the Pineapple Heads Family - a natural range of hair and skincare products for kids aged 10 months to 10 years that is made in New Zealand and lots of fun. Pineapple Heads has been created by Megan Sanders, who worked with some of the best talent in New Zealand to develop a natural range of kids products that they will actually enjoy using AND are good for them. “Now kids don’t care whether their hair product is made from extra virgin kelp juice or nuclear waste,” she says, “but parents do. And as a parent I wasn’t going to put any yucky chemicals on my child’s darling head.” Amen to that! Naturally, they contain no silicones, PEGs, petrochemicals, parabens, artificial colours or harsh surfactants, and Megan worked with an amazing French perfumer who specialises in developing natural and organic scents, to create the perfect balance of delicious smelling products that don’t contain anything artificial. Lime, which is made from marshmallows, guava and limes and washes out easily. He likes the latter so much that we’ve had to put it out of reach! If you have little ones or know someone who does, check out the gorgeous range here. Reportedly inspired by Dutch Renaissance portraits of young women (Vermeer's "Girl With a Pearl Earring" was on the designers' inspiration board), the beauty look at Valentino included luminous skin, minimalist makeup, and ultralong, “rich girl” braids. "I'd describe the clean, polished side braid I created at Valentino today with the word monastic,” said Redken Global Styling Director, Guido who created the look, “a good fit for the young beauty the designer envisioned when creating this collection.” He added that “she's a simple, young girl but she still has style, and every girl can relate to it which makes it more personal, even intimate - and also reflects the appeal of the brand itself. I've done a side braid before, but it was always sexier, like at Alexander Wang a few years ago - this one is more minimal, but there's a certain level of seduction in the innocence." roots to ends and blow-dry straight with a boar bristle brush. * Create a clean centre part, and then use a fine tooth comb to brush hair to one side (the side that the braid will fall on- in the show it was the models' left) from the back (so centre part stays intact). * Tuck the side of the hair you will braid behind the ear and then rub a small amount of satinwear 02 into your hands to help you as you start to braid, beginning a few inches down from the neck, keeping your wrists and elbows low as you go. at the tip, leaving only an inch or two unbraided at the end. * Put a few drops of Redken Diamond Oil Shatterproof Shine on your hands, rub together to emulsify, and lightly run your hands over the hair on either side. 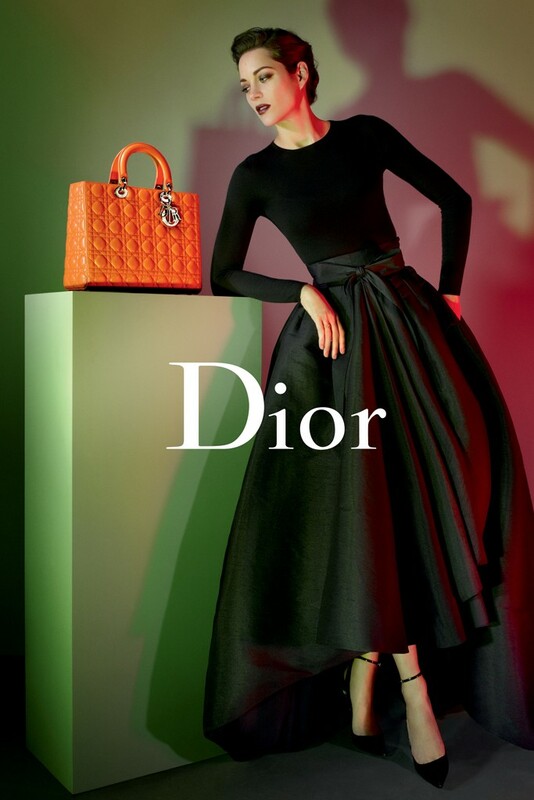 To celebrate the opening of the French Film Festival, running throughout New Zealand until April 24, iconic beauty brand L'Oréal Paris is sharing the love with one gorgeous hamper worth over $100.00 to give away to one lucky reader. As part of the festival, gold sponsor L’Oréal Paris is running seven charity screenings of the french film Happiness Never Comes Alone (pictured above), with all proceeds going to the Ovarian Cancer Research Foundation. With 20 French films to choose from, the French Film Festival has a slice of French culture for everyone. There’s the comedy for all ages Astérix et Obélix: au service de sa majesté (Asterix and Obelix: In Britain) a star-studded adventure of France’s favourite characters. While Haute Cuisine is the extraordinary true story of President Francois Mitterrand’s private cook, Danièle Delpeuch and is a must-see film for anyone who loves French cuisine, traditions and its cinema. For more information on the L'Oréal Paris charity screenings visit here. And to enter this fabulous giveaway, email me at helene@mshelene.com with your name and courier address - too easy! The competition closes at 5:00pm, this Friday March 15, 2013. When I travel I always pack a few of my favourite candles to burn upon arrival, the more petite the better given many airlines’ downright cruel luggage restrictions! So I was naturally over the moon to hear that one of my favourite home fragrance houses, ECOYA is expanding their collection of candles with a range of miniature, scented candles in the six iconic ECOYA fragrances. Called the “Mini Metros”, they are small but perfectly formed versions of ECOYA’s Metro range of soy wax candles and sheer petite perfection. They have a pretty amazing burn time of 18 hours and give serious fragrance throw, and come in a conveniently sized 50g glass jar. Mini Metros are available in Vanilla Bean (my absolute favourite), Lemongrass & Ginger, Lotus Flower, Wild Frangipani, French Pear and Sweet Pea & Jasmine and come with an equally tiny price: RRP NZD$24.95. Want them all! For stockist details visit www.ecoya.com, or if you’re in Sydney pop into their apparently incredible Woollahra flagship store - it’s on my to-do list for this year and should be on yours too. Along with Bobbi Brown, M.A.C has always been my go-to brand for lipstick and the creators of my most worn shade - the super matte Velvet Teddy. I’ve loved their lipsticks as long than I can remember, buying them in the likes of London and Hawaii before they were available in New Zealand and toting up to 15 shades home at a time! So it’s always really special when M.A.C launches a new lip colour formula, and I’m getting all excited about the new Mineralize Rich Lipsticks, available March 18 from all MAC stores. The new formulation includes twelve gorgeous shades (in North America; 19 shades in total with exclusives in other countries) and they will retail for NZD $58.00. 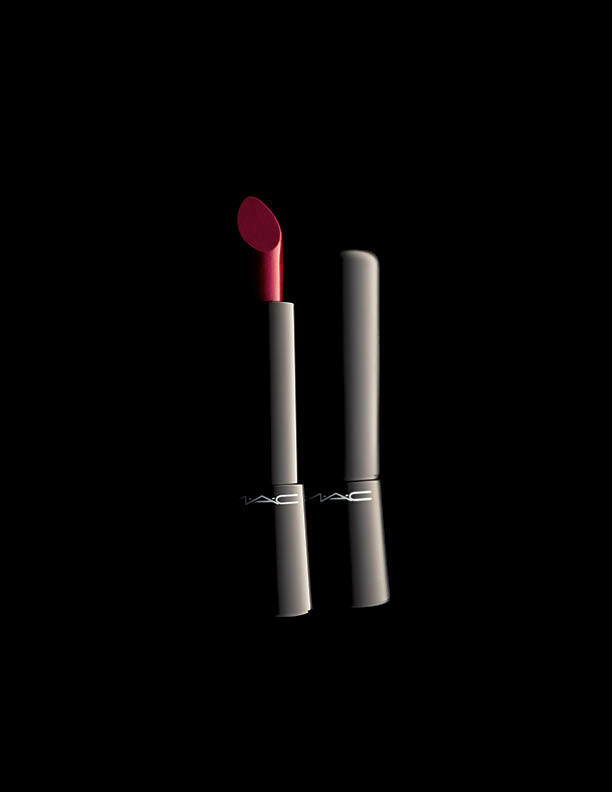 This is a little more than other M.A.C lippies but the new lipstick formulation has come with re-vamped packaging, which I love. The tube features a magnetic closure which helps to keep the cap on securely, as well as a new, larger bullet shape for more product all round. The formula is made up of 77 minerals that nourish lips, leaving them feeling hydrated but only lightly coated, and not sticky at all. The lipsticks have a medium to full buildable coverage and a high-shine finish similar to the M.A.C Sheen Supreme lipsticks, but with much more pigmentation. In short, they are pretty damn great! No label says pure Parisian street style cool more than Isabel Marant, and for the designer’s recent Paris Fashion Week outing modern makeup legend Tom Pecheux created the perfect face to match. Lips were a mix of Pure Color Long Lasting Lipstick in Vanilla Truffle and Pure Color Vivid Shine Lipstick in Gilded Honey - launching August 2013.